‘These arrests are the best chance for the state to successfully prosecute a state capture-related case,’ analysts say. The seven suspects in the Bosasa state capture case may never spend a day in jail should they turn state witness, suggests Mpho Kwinika, president of the South African Policing Union. He believes this week’s arrests may be part of the Hawks’ plan to nab the lowest-hanging fruit because of the invaluable information they may have which could lead to bigger fish. 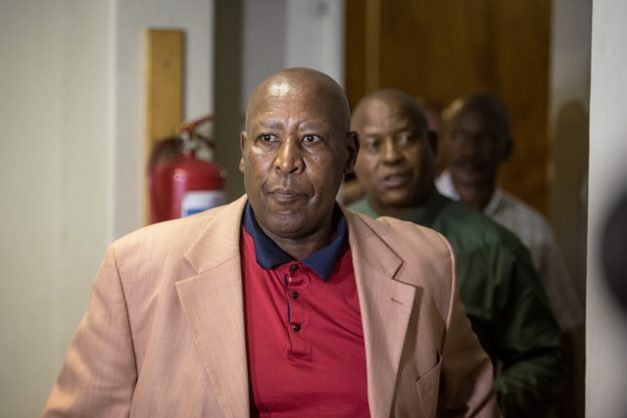 Yesterday, former correctional services commissioner Linda Mti became the sixth suspect to be formally charged in the decade-old investigation into money laundering, corruption, and racketeering, which also involved Bosasa. He appeared briefly at the Specialised Commercial Crime Court after handing himself over in the morning. The arrests of former Bosasa chief operating officer Angelo Agrizzi, former Bosasa chief financial officer Andries van Tonder and former correctional services chief financial officer Patrick Gillingham as well as Bosasa employee Carlos Bonifacio, and former Bosasa senior manager Frans Vorster raised eyebrows this week, with many questioning the timing of the arrests. A week ago, Agrizzi dominated headlines with his shocking tell-all testimony at the Commission of Inquiry into State Capture chaired by Raymond Zondo. The Hawks have claimed their investigation was only awaiting the go-ahead of the National Prosecuting Authority. Kwinika suggested these arrests were the best chance for the state to successfully prosecute a state capture-related case, clearing the pathway for a domino effect in sync with the commission itself. According to the Criminal Procedures Act, if the testimony of a suspect leads to an arrest and successful prosecution of another suspect, the court can exempt such a suspect from facing prosecution. Corruption Watch chief executive David Lewis disagrees there may be a plot behind the arrests. The cases are expected to resume in court in March.